Large investors and those who commit early to funds are also able to extract discounts on the fees they pay the buyout firms, Rubenstein said, whereas in the past all clients were charged the same percentage on their committed money. In addition, big clients are increasingly seeking separately managed funds with the firms, rather than solely committing to commingled funds with other investors, he said. Rubenstein, 65, said the “great revolution” coming to the industry will be the ability to add non-accredited investors, or those with a net worth lower than $1 million or those earning less than $200,000 a year. Regulations of fund structures should change to allow such people to put some of their retirement savings in private equity vehicles, said Rubenstein. “Wall Street Week” is produced by SkyBridge Media, an affiliate of SkyBridge Capital, the fund-of-funds business founded by Anthony Scaramucci. SkyBridge, which sometimes has other business relationships with the show’s participants, advertisers and sponsors, pays Fox stations in key markets to broadcast the show and also streams it online every Sunday at 11 a.m. in New York. I'm not sure about the "great revolution" Rubenstein is talking about in terms of non-accredited retail investors being able to invest in private equity. In my opinion, retail investors are better off investing in the shares of PE giants and staying liquid, but the three biggest private equity firms posted lower second-quarter profit after U.S. stocks slipped for the first time since 2012, a harbinger of things to come. I do however agree with Rubenstein on the changing landscape in terms of large institutions and fee compression. The acquisition of LeasePlan Corporation NV from German car maker Volkswagen AG and Fleet Investments is PGGM’s largest direct private-equity transaction, according to PGGM spokesman Maurice Wilbrink. The Dutch fund has been building its in-house team to invest in companies directly, alongside private-equity firms and other investors, after selling its private-equity investment unit in 2011. 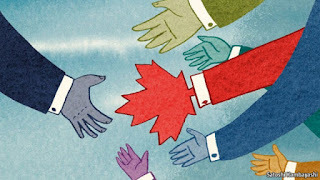 Investors from the Canada Pension Plan Investment Board to Singaporean sovereign-wealth fund GIC are increasingly seeking to buy assets directly, rather than just through private-equity firms. Several pension funds have publicly voiced their concerns over the level of fees charged by the private-equity industry. By acquiring companies directly, PGGM avoids paying private-equity firms annual fees of between 1% and 2% of the money invested. It also avoids the 20% fee known as carry that private-equity firms keep from the sale of profitable assets. Most of the money that PGGM manages is on behalf of PFZW, a pension fund for Dutch nurses and social workers. In 2014, PFZW paid €445 million of fees to private-equity firms—more than half of its €811 million fee bill to money managers. Yet private equity only accounts for €9 billion, or 5.6% of PFZW’s €161.2 billion of assets, according to its annual report. PGGM also makes its own infrastructure investments to avoid paying fees to infrastructure funds. PGGM is buying LeasePlan in partnership with Singaporean sovereign-wealth fund GIC; the Abu Dhabi Investment Authority, or ADIA, also a sovereign-wealth fund; ATP, Denmark’s largest pension fund; the merchant-banking unit of Goldman Sachs ; and London-based private-equity firm TDR Capital LLP. GIC, ADIA and ATP are also part of the trend among traditional investors in private-equity firms to increasingly invest directly in takeovers of companies. The investors will pay for the acquisition with an equity investment equal to about half of the purchase price, a convertible bond of €480 million and a loan of €1.55 billion, LeasePlan said in a statement. Unlike in a traditional private-equity-backed leveraged buyout, the debt won't be secured on the company that is being acquired. “None of the debt raised by the Investors would be borrowed by LeasePlan and the company would not be responsible for the repayment of such debt,” LeasePlan said. LeasePlan reported net income of €372 million in 2014, operates in 32 countries and has a workforce of more than 6,800 people. Talk about a great deal and unlike private equity funds, large global pensions and sovereign wealth funds which invest directly in private equity have a much longer investment horizon and aren't looking to load their acquiring companies with debt so they can profit from dividend recapitalizations. No wonder private equity funds are worried. They know they're cooked, which is one reason why they're trying to emulate the Oracle of Omaha to garner ever more "long term" assets and continue to steal from clients now that times are still relatively good. 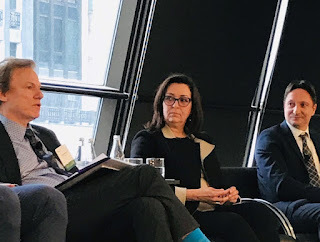 "More and more sponsors are paying up where they think they have a material informational advantage,” said Justin Abelow , a managing director of financial sponsor coverage at investment bank Houlihan Lokey Inc. Private equity firms, armed with $1.2 trillion in uncalled capital, need to fend off peers and strategic buyers in the fierce pursuit of assets. Standard & Poor’s Capital IQ Leveraged Commentary and Data said that as of the first half of the year, the average private equity purchase price multiple crept up to 10.1 times the target company’s trailing earnings before interest, taxes, depreciation and amortization, topping a historical high of 9.7 times in 2007. As we report in the July issue of Private Equity Analyst, some firms looking for an edge in deals are taking a trip down memory lane. Cleveland’s Riverside Co., for example, in May bought for a second time Health & Safety Institute, a provider of training materials and cardiopulmonary resuscitation courses. It previously owned the business between 2006 and 2012. Partner Karen Pajarillo said her firm “didn’t have as much of a learning curve as others who are new to the business,” though HSI’s mix of revenue has changed over the years to include more online learning material. Advent International is donning yoga pants once again, acquiring nearly 14% of yoga-gear maker Lululemon Athletica Inc for $845 million last year. The New York firm invested growth capital in the Canadian apparel company in 2005 at an enterprise value of 225 million Canadian dollars, taking the company public two years later in a $327.6 million offering. Lululemon share prices have risen by about 55% since Advent’s second investment in the company. 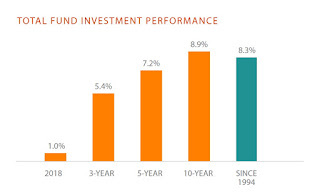 Revisiting old investments has proved profitable in the past for some firms. San Francisco firm Friedman Fleischer & Lowe made a 10-times return on foam-mattress company Tempur-Pedic International Inc . in 2006 when it exited the $350 million investment it made in 2002. The firm reinvested in the company in 2008, re-exiting in 2011 at a 3.3-times return. But second time isn’t always a charm, and firms must stay mindful that times change and the formula used previously may not work again, private equity executives said. Charterhouse Capital Partners lost control of U.K. washroom services provider PHS Group after the company was taken over by lenders. Charterhouse took PHS public in 2001, before taking it private again in 2005. The second time around is definitely not always a charm. The market is a lot more competitive now as strategics are flush with cash and overvalued shares. Quiz time. Who runs BC Partners? 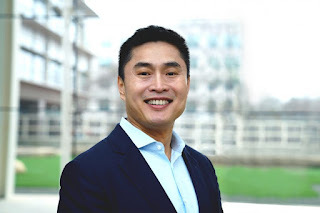 Who is the chairman of the British Private Equity & Venture Capital Association? And who is the top dog at Cinven? If you drew a blank with any of those questions, you are not alone. The private equity industry, once the domain of larger-than-life characters, is full of curiously understated individuals these days. Most of the buyout pioneers that founded Europe’s private equity industry have retired over the past decade. Men like Apax Partners’ Sir Ronald Cohen, CVC Capital Partners’ Michael Smith, Charterhouse Capital Partners’ Gordon Bonnyman, Permira’s Damon Buffini and Terra Firma’s Guy Hands got outsized returns for their investors and often had outsized personalities – charismatic, bombastic or just plain mouthy. But, for the most part, they have stepped back to be replaced by committees and a generation of top executives with a lower profile. This new generation are more bureaucrats than entrepreneurs. Many of Europe’s biggest private equity firms began life in the banks. They were staffed by smart people that the banks were not sure what to do with, according to Ian Simpson, founder of placement agent Amala Partners, who has worked in the industry for 27 years. The first industry leaders were the ones deemed by the banks to be “too dangerous to lend money but too bright to stick in HR”, he said. Those years were a heady time for private equity: it was still almost a cottage industry and deal-doers were able to score blockbuster returns. Guy Hands made around £3 billion profit working for Nomura in the 1990s, for instance. Under Bonnyman’s leadership, Charterhouse invested €73 million in UK government leasing company Porterbrook in 1996, eventually getting a $481 million profit when it flipped it a year later. In 1996, under Cohen’s leadership, Apax built up a 33% stake in Cambridge-based software company Autonomy, later selling its holding during the technology bubble of 2001 for a capital gain of more than £1 billion. After pioneering the techniques used on buyouts at the banks, many of these trail-blazers decided to spin out and start their own firms. Buffini led the management buyout of Permira from Schroders Ventures Europe in 2001, Bonnyman led the spin out of Charterhouse Capital Partners from HSBC in 2001 and Hands left Nomura’s principal finance arm to set up Terra Firma in 2001. Over the early 2000s, those new firms grew rapidly from small operations into huge asset managers with money pouring in from investors. Returns also began to slide as more players entered the market and the business became more institutionalised. In the years around the financial crisis, many of the founders handed the reins over to the next generation of leaders or even groups of leaders, many of whom had lower public profiles than their predecessors. Cohen stepped back from running Apax in 2004, handing over to Martin Halusa; Buffini handed control of the firm to Kurt Björklund and Tom Lister in 2007; and Smith retired as chairman of CVC in 2012, handing control to Rolly van Rappard, Donald Mackenzie and Steve Koltes. Antoon Schneider, a senior partner at The Boston Consulting Group, said the new generation were more managers than entrepreneurs but that a different financial environment called for a fresh style of leadership. A focus on the institution rather than on the individual is now reflected in the agreements made between investors and the buyout firms, known as limited partner agreements. These documents traditionally named one or two “key men” – if these named individuals left or died, investors could put investment from the fund on hold. These days there are usually a large group of key men mentioned in fund documents, reflecting how much more institutionalised and less focused on individuals the asset class has become. Is the industry missing out on the entrepreneurialism of the early mavericks? Simpson said investors now want consistency from their managers rather than the bursts of genius that became the mark of the old guard. Perhaps the change was inevitable. As the industry has matured, it is natural for the focus to shift from the individual to the institution. But it does mean that many of the largest firms have become faceless behemoths that are tricky to tell apart. 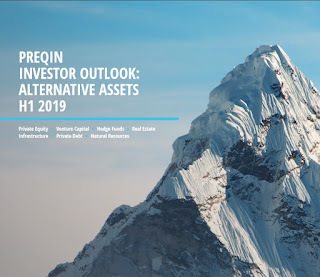 The institutionalization of private equity, hedge funds, real estate, infrastructure is changing the landscape for the large alternative shops and placing ever more pressure on funds to tighten compliance and align their interests with investors. Moreover, markets are changing faster than ever and private equity firms that fail to adapt to this new environment are going to be left behind. What I see happening in the future is a bifurcation in the private equity industry where the giants get bigger by collecting more assets from large pensions and sovereign wealth funds but their returns start sagging as competition heats up in the large cap space and deflation takes hold. The smaller private equity firms which are typically more focused on performance will continue doing well by focusing on smaller deals and they will collect their assets from family offices and small endowment and pension funds. Also, the CalPERS of this world will continue to focus some of their capital in emerging manager programs to transition them to their mature manager portfolio (watch the latest CalPERS' board meeting at the end of my last comment). Hope you enjoyed reading this comment. As always, please remember to click on my ads and more importantly to donate or subscribe to this blog via PayPal at the top right-hand side. I am off to my appointment at the Montreal Neurological Institute where I am taking part in an Opexa study for progressive Multiple Sclerosis using my own T-cells (hard to know whether you're on the placebo). Whether you have or haven't contributed to my blog, please donate to the MNI as it's truly an incredible hospital and research center, conducting clinical and basic research and providing extraordinary care to thousands of patients with neurological diseases. 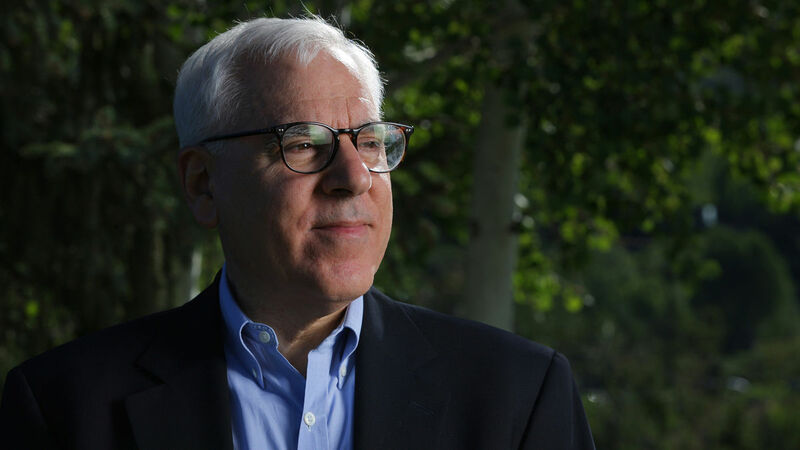 Below, Carlyle Group co-founder, co-CEO David Rubenstein, discusses private equity, technology, energy, politics philanthropy and more on Wall Street Week. Great episode and my favorite passage was what he said about his parents and how to raise your kids when they are brought up in an advantageous background. Listen to his comments, many of which I agree with and some of which I don't. Along with Blackstone's Stephen Schwarzman and a handful of elite managers, he is the last of the remaining PE superheroes. Update: Just after writing this comment, the New York Times reported that Jerome Kohlberg Jr., a veteran financier who pioneered the $2.6 trillion leveraged-buyout industry but later rejected its hunger for huge and aggressive deals, died at his home in Martha's Vineyard. He was 90. Mr. Kolhberg was another private equity luminary who will be sorely missed.